This Copy Of Windows Is Not Genuine this error is frequently faced problem by the windows users who are using pirated version of windows.This problem is really frustrating when you are working on your computer.If you are also facing this problem then you are on right place, in this post I will share how to fix This Copy Of Windows Is Not Genuine error. Do you know why this is happening with your computer? It happens if you use pirated copy of windows. You may have enabled automatic update on your computer and recently you were connected to the internet. When you connect your computer to the internet it automatically checks whether you are using genuine copy of windows or not. Whenever it found that you are using pirated copy of windows then it starts showing This Copy Of Windows Is Not Genuine. You are a victim of software counterfeiting in windows XP and Windows 7 Build 7601 this copy of windows is not genuine in Windows 7. You can't change wallpaper until you solve this copy of windows is not genuine error or wallpaper becomes blank. Makes your Computer/Laptop soo lazy and Slow. An error message saying windows is not genuine keeps pop-ing up frequently. Here I have provided three best possible methods to solve This Copy Of Windows Is Not Genuine Error. 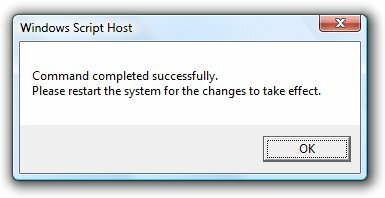 You are getting this error message because your system is capable of detecting windows update.After uninstalling Update for Microsoft Windows (KB971033) you will not get This Copy Of Windows Is Not Genuine error message. Step 1: First open Control Panel. Step 2: Click on Programs and Features then on the left sidebar click on View installed updates. Step 3: Now there you will get Update for Microsoft Windows (KB971033). Step 4: Right click on it and click on uninstall. Step 5: Now restart your computer. You have fixed successfully This Copy Of Windows Is Not Genuine error. In this method, you can solve by using Command prompt. Step 1: Open Command Prompt. ( Go to Start menu from home screen and search for CMD). You can also press Ctrl+R and then type CMD to open Command Prompt. Step 2: Now right click on Command Prompt and click Run as Administrator. Step 3: You have opened Command Prompt now type SLMGR -REARM(if it not work then type SLMGR/REARM).Now Press Enter. Step 4: Now you will get a message to restart your Computer.Click on OK to restart. After restarting your computer you will not get This Copy Of Windows Is Not Genuine error. Step 1: Go to the drive where Windows is Installed (Usually C Drive). Step 2: Now open Windows Folder then System32. Step 3: Now search for slui file. Step 4: Delete this file. 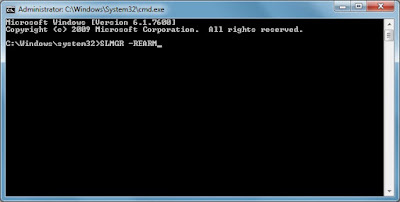 Step 5: Now open Command Prompt( Refer Method 1). Step 6: Type slmgr– rearm and press Enter. Step 7: Now Restart your computer. Once you have done this you will not get Windows not genuine error. I hope you liked this article This Copy Of Windows Is Not Genuine – Permanent Fix. below to get more posts like this.